A couple apprehended after a high-speed chase posed with a smile alongside the arresting officers, as shown in video and photos released by a Florida sheriff’s office. “Should we smile?” Taynor replied, before doing so. 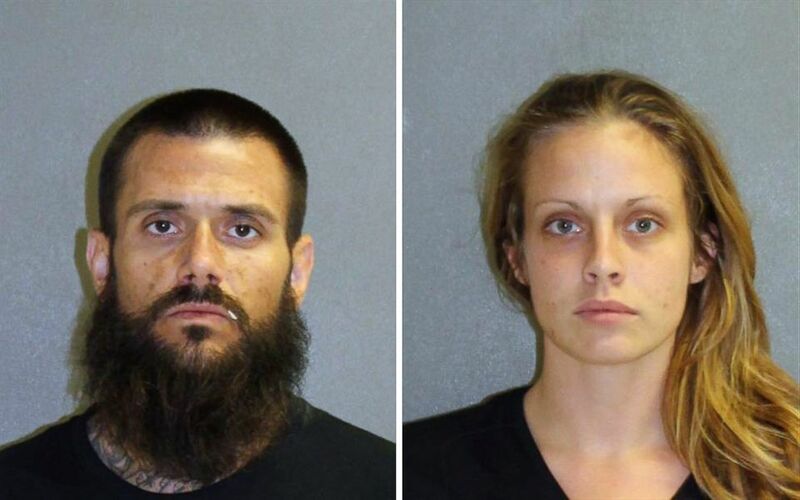 Authorities had been on the hunt for White, 32, and Taynor, 24, for two months since they allegedly stole two pressure washers from a Walmart, in addition to other felony charges, according to the Volusia County Sheriff’s Office. Police gave chase last Thursday after Deputy Steven Woell spotted a couple driving an allegedly stolen vehicle. After the wanted couple pulled over, they “bailed out and ran, but they were taken into custody quickly without incident,” according to a statement on the Volusia County Sheriff’s Office Facebook page. 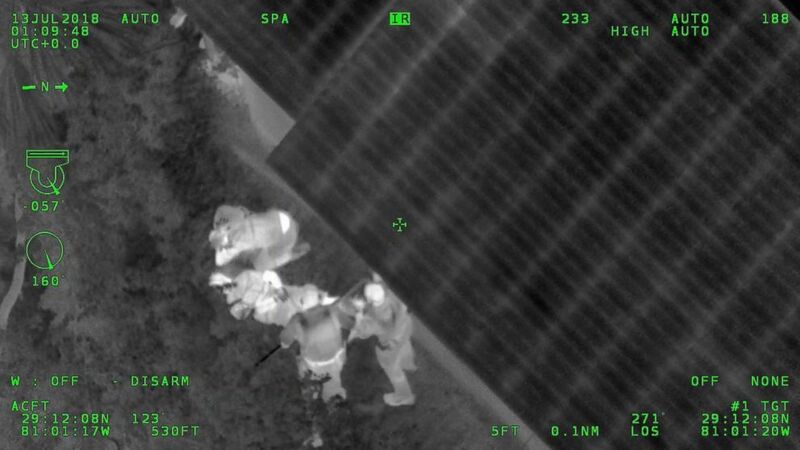 An image released by the Volusia County Sheriff's Office shows officers standing over Matthew White and Amber Taynor during their arrest on July 12, 2018 in Volusia County, Fla.
“White was charged with grand theft of a motor vehicle, tampering with physical evidence, possession of cocaine, possession of cannabis >20 grams, driving while license suspended, theft and possession of narcotics paraphernalia,” according to the statement. Taynor was charged with possession of heroin and possession of narcotics paraphernalia, authorities said. They are in custody and have not entered a plea, according to the Circuit Court in Volusia County. They did not smile for their mug shots. Matthew White, 32, and Amber Taynor, 24 are pictured in booking photos following their arrest on July 12, 2018 in Volusia County, Fla.